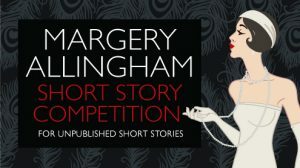 I didn’t win, but it was – and still is – a thrill to have my story ‘Faceless Killer’ long-listed and then short-listed for the Margery Allingham Short Story Competition. It’s not quite the first time I’ve been short-listed for something – but it was the first time I’d been there when the winner was announced, this time at a reception at Crimefest in Bristol, and it did add a frisson of excitement to the week-end. In the end the winning story was ‘The Box-Shaped Mystery’ by Peter Guttridge. I’m looking forward to reading it when it goes on line. Meanwhile here are introductions to the short-listed stories: http://thecwa.co.uk/debuts/short-story-competition/. Crimefest was a blast, as always, masses of friendly readers and writers, interesting panels, impeccably organised in a good hotel in a great city. I staggered home with a load of books, DVDs, and audio books, some of them the result of winning the Crimefest pub quiz, which I achieved by the simple ploy of making sure I was on the same team as Martin Edwards. I also won a book in a raffle at a terrific session on German crime fiction run by Kat Hall (aka Mrs Peabody). And then yesterday Captain Hastings (aka Hugh Fraser) politely opened a door for me – who would have thought it? So it was all good and I’ve already booked for next year. At least for a while. Maybe I’ll take June off. Go cold turkey. Only thirty days in June, so it might not be too bad. Or maybe wait until August when I’ll be in France for some of the time, so (mostly) out of the reach of temptation. Or should I perhaps just STOP RIGHT NOW. But something must be done, because my study looks like a second-hand bookshop, there are books all over the house, and if I’m not careful I’m going to end up like those people who have so much stuff that they have to tunnel through it to get from room to room. And then there are all the unread books on my e-reader. It is so fatally easy to download with just one click – and often so cheap. I have reluctantly concluded that it is all getting out of hand. What has brought this on is my trip to Crimefest at the week-end. I decided to limit myself to two new books – not least because I had to carry them home on the train. 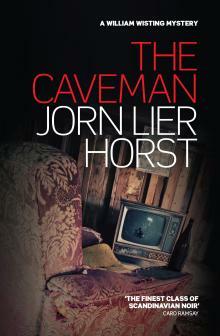 One was the eagerly awaited The Golden Age of Murder by Martin Edwards (soon to be reviewed here) and Jorn Lier Horst’s newly translated The Caveman, both signed by their authors. But it didn’t stop there. I came home with a whole bag of books, because I correctly guessed that Len Tyler’s Crooked Herring would win the Last Laugh Award for the best humorous crime novel. The prize was the shortlist of six. I already had Len’s book, so I gave that to a friend. But it still means that I came home with seven new books. No, make that eight, because I kept one that came free in the goody bag. And in spite of all that, have I still bought another book today? Why, yes, I have. I met a writing chum, Quentin Bates, at Crimefest and that reminded me to download his new novella, Summerchill. The rate at which I am acquiring books is far, far outstripping the rate at which I read them – and I am a byword among my friends for the number of books I get through. The gap is getting bigger and bigger. So maybe Quentin’s should be the last for a bit. Just a temporary measure, you understand. But I think I’d be the better for it – and so would my credit card statements. This appears on the cover of one of her books. That might be pitching it a bit high, but I do agree that Emma Lathen is a very good read. She is one of those writers who is in fact two writers. This kind of joint venture mostly happens in the crime-writing world, though my very good friend, Sue Hepworth, has written two romantic comedies jointly. The Emma Lathen novels were written by two economists, Martha Hennisart and Mary J. Latis, and from 1961 until Mary Latis died in 1997.they produced around a book a year under the Lathen name and under the name ‘R. B. Dominic.’ I have probably read them all. The Lathen books feature as their investigator John Putnam Thatcher, urbane Vice-President of the Sloan Guaranty Trust, and it seems quaintly old-fashioned now that when these novels first came out – from 1961 onwards – a banker could act as a moral touchstone. The novels are witty and well-informed. In Thatcher’s work he is involved in approving investments and the novels employed a wide range of business setting: Murder to Go, which involves a fast food chicken franchise is especially good fun. Like Poirot, Thatcher doesn’t age: he is sixtyish in the first novel and remains sixtyish. I’m currently rereading some of the novels, because I’m on the Forgotten Authors panel at Crimefest this year, talking about Emma Lathen and Harry Kemelman. Hope to see some of you there.